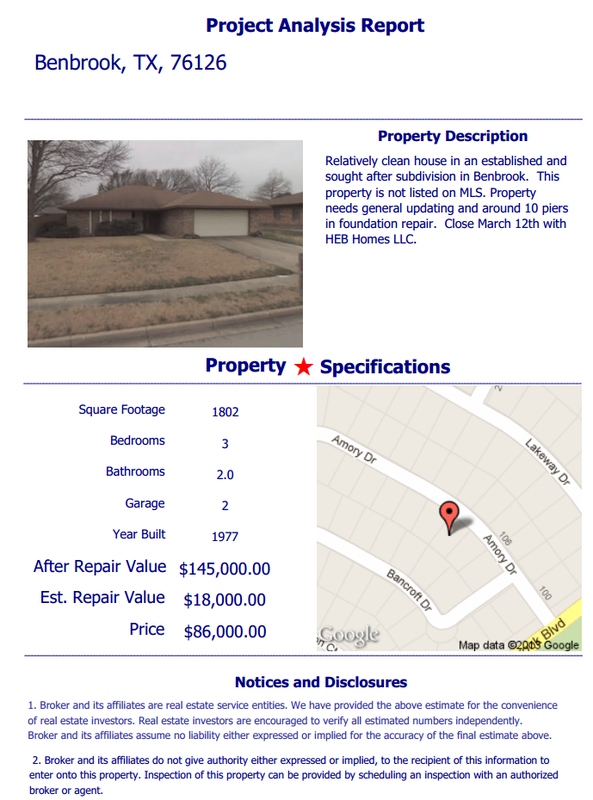 American Wholesale Property: NEW BENBROOK Flip Property! Relatively clean house in an established and sought after subdivision in Benbrook. This property is not listed on MLS. Property needs general updating and around 10 piers in foundation repair. Close March 12th with HEB Homes LLC.